Side By Side has a chapter in Rochester! 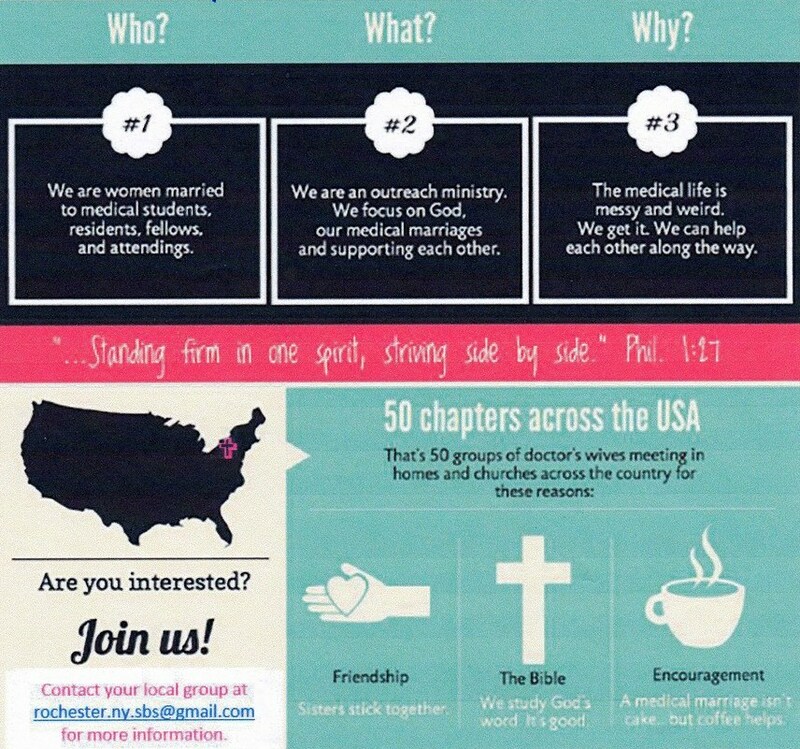 We are a non-denominational, Bible-based evangelical ministry for women who are married to medical and dental students, residents and fellows, as well as staff physicians and dentists that seeks to encourage, support and minister to women in medical marriages through fellowship, Bible study and prayer. We commit to standing side by side our husbands, side by side our sisters in Christ, and side by side our Lord. If you’re interested please contact us at rochester.ny.sbs@gmail.com.